Apple Dongle lets you connect with a good joke by Ryan Geraghty. Dongles for this, dongles for that, USB-C dongles be damned. 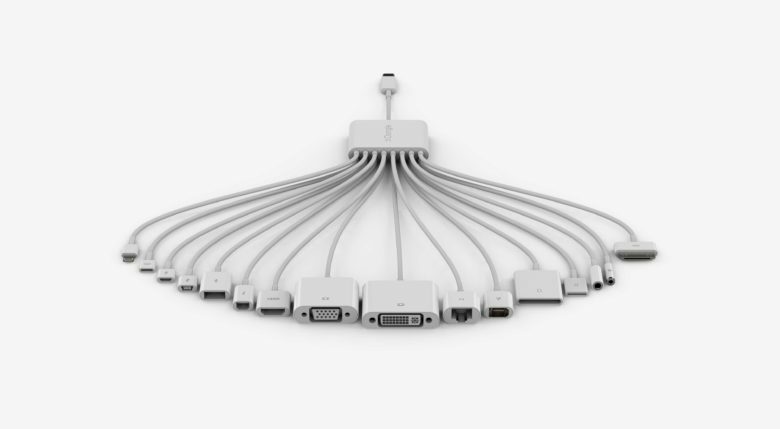 Product designer Ryan Geraghty feels your frustration and has created a concept designed to make Apple users laugh about their begrudged move to USB-C.
His idea of an Apple Dongle is “one elegant tapestry of connectivity” featuring 16 adapters into a single USB-C connector.